API Digest #82. 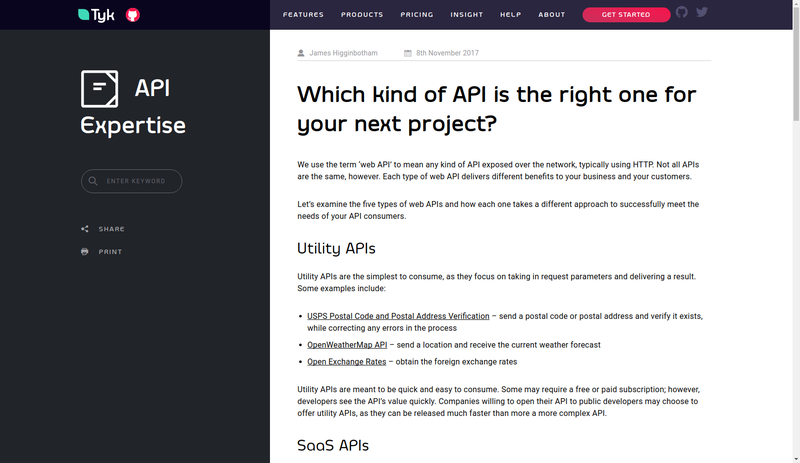 Which kind of API is the right one for your next project? 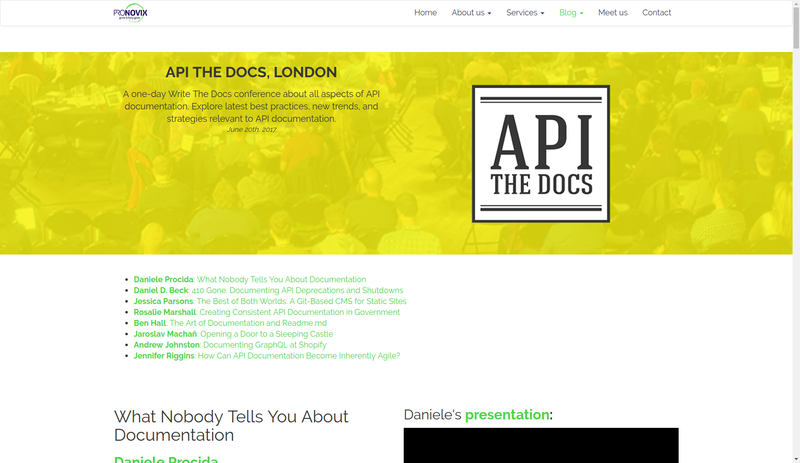 Eight API professionals shared their stories during the one-day conference API the Docs which took place in London. During the event, speakers discussed all aspects of API documentation: trends, practices and strategies. Follow the link to reach the recordings and key insights from their presentations. 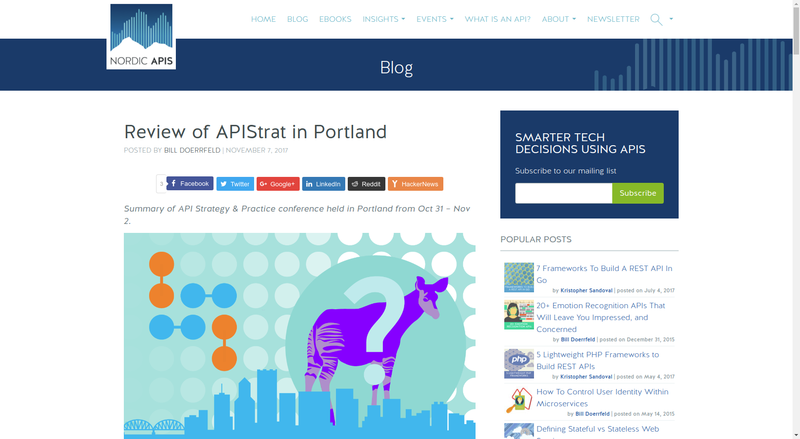 Another great gathering of API enthusiasts has happened in Portland lately. API Strategy & Practices is a series of events where opinion leaders share their main successes and challenges. Take a glance at the best moments in a review by NordicAPIs. An interview with Kin Lane, API evangelist, about the past, present and future of APIs. 4. 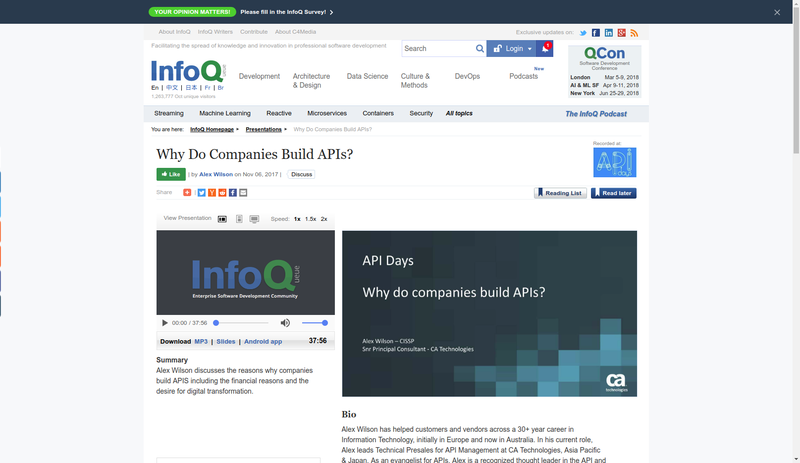 Why Do Companies Build APIs? Mifan Careem is instructing on how to manage API marketplace, monetize APIs and implement a developer portal. 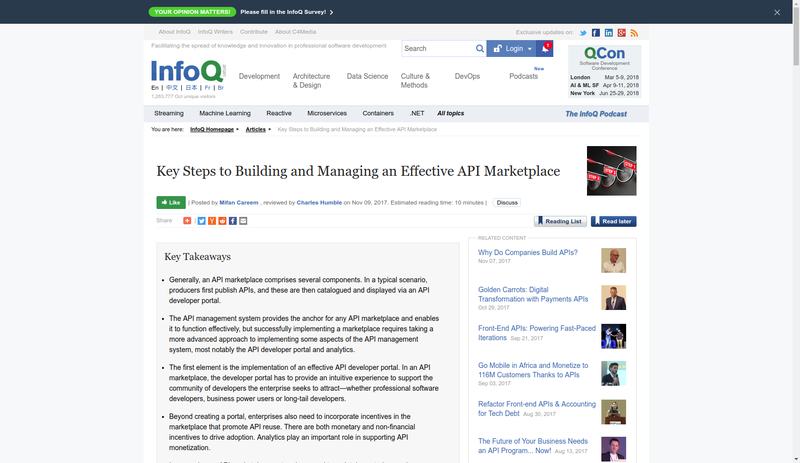 What is the scenario to building an API marketplace and which components is it comprised of? Look for the answers in the article. 6. Which kind of API is the right one for your next project? James Higginbotham suggests APIs could be divided into groups according to their nature. There are utility, SaaS, platform, partner and private APIs. Each has its own strengths and weaknesses. A massive piece of consideration is required before launching any, otherwise you simply would not be able to address the needs of the consumers. 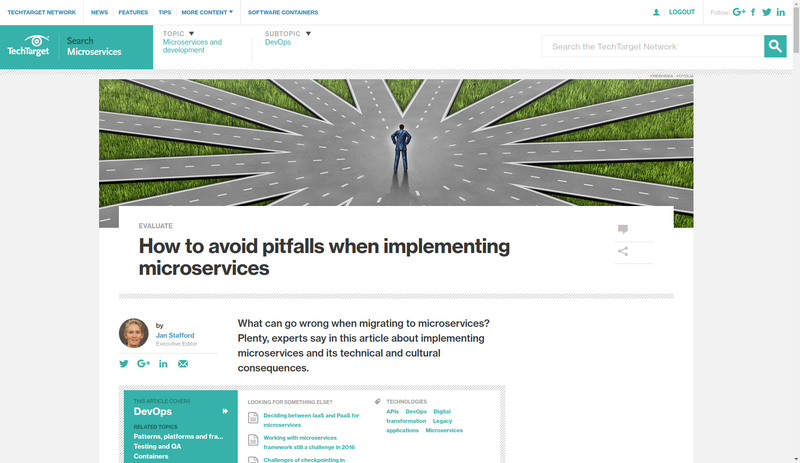 What can go wrong when a business is migrating to microservices? Plenty. The reason may be hiding in the most unexpected place. 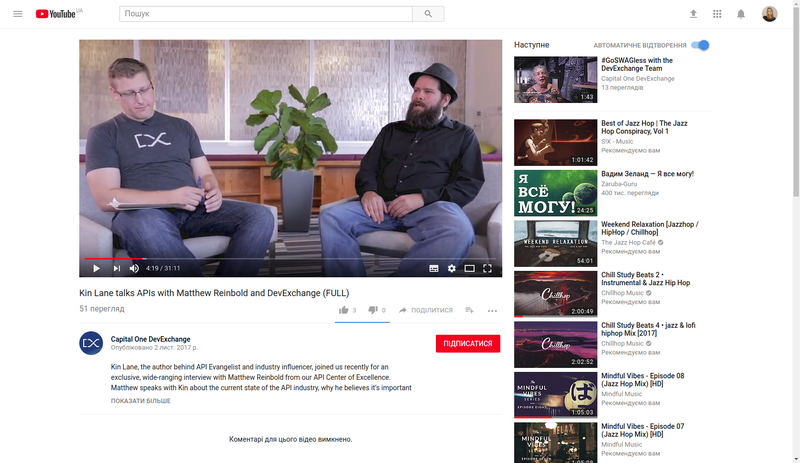 Check out the commentaries given by five industry experts. 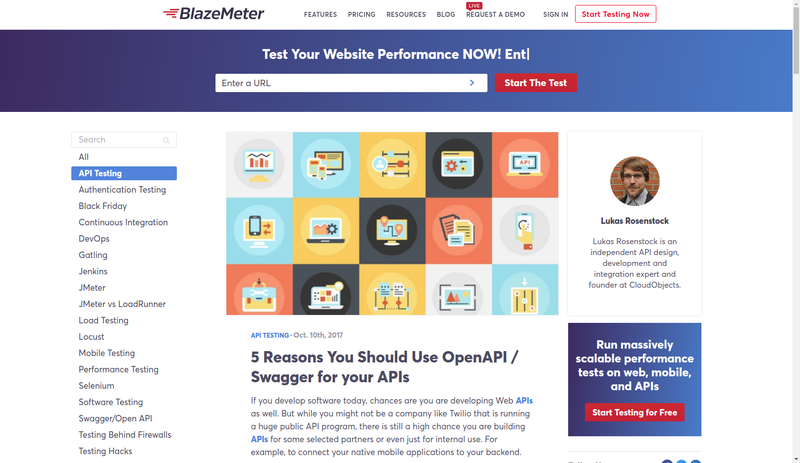 If you develop software today, chances are you are developing Web APIs as well. There are some common good-case practices on how to do this effectively, and using OpenAPI/Swagger for your API is one of them. Read about the benefits you may get in the article by BlazeMeter. Understanding APIs properly is one of the big milestones in programming career. 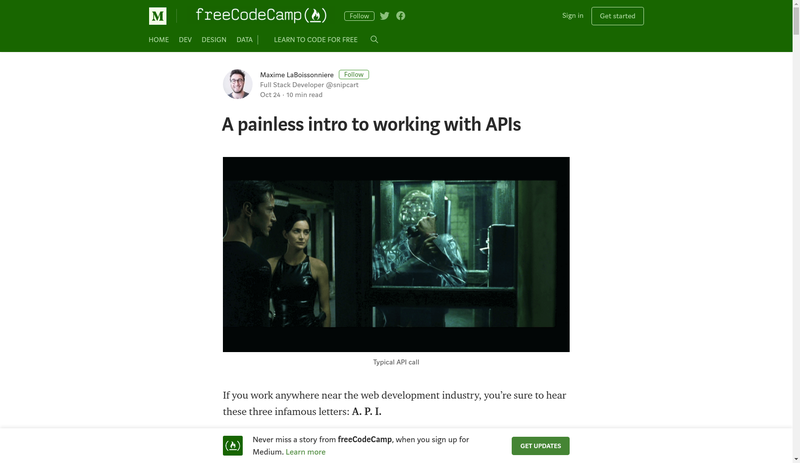 Maxime LaBoissonniere, a full stack developer at Snipcart, makes an attempt to bring a painless introduction to working with APIs. He believes (and we fully share his view) learning to use APIs dramatically increases your development effectiveness. 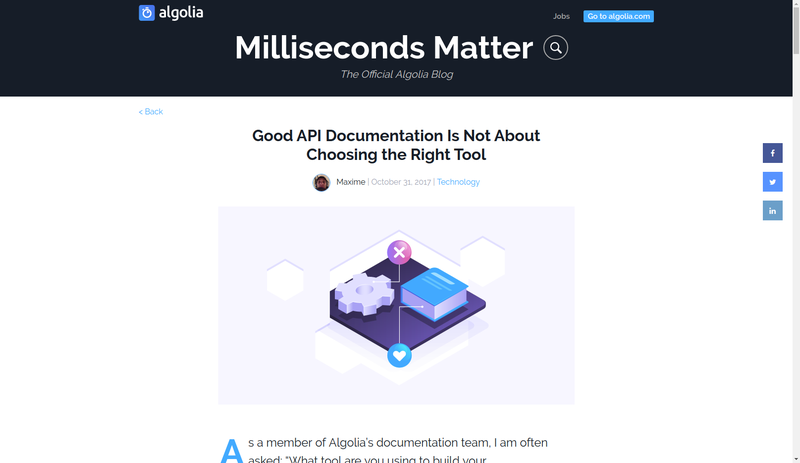 What tool are you using to build your documentation? The question might not be the correct one. Instead of focusing on which tool to use, a better option is to focus on whether you are doing everything possible to be as little software-dependent as possible. If you are interested in getting latest news in the API world, check our digest #80 and #81 as well as stay tuned for the new blog posts.